How do you know you really exist? 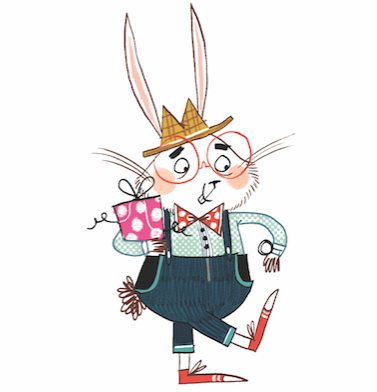 It's Maisie's birthday and she can't wait to open her presents. She's hoping for the things she needs to build her own nuclear reactor. But she wakes to an empty house and outside the front door is nothing but a terrifying, all-consuming blackness. Trapped in an ever-shifting reality, Maisie knows that she will have to use the laws of the universe and the love of her family to survive. And even that might not be enough...A mind-bending mystery for anyone who's ever asked questions. It's always a real pleasure to receive a book for review, especially a book written by Christopher Edge. 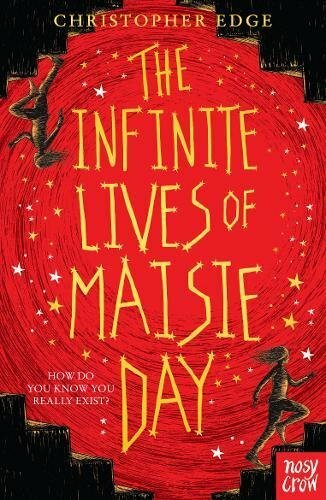 The Infinite Lives of Maisie Day will spring into the universe on the 5th April 2018. It is published by Nosy Crow, the Children's Publisher of the year 2017, and will hurtle through the black holes of space just in time to land in a bookshop near you. This might be the strangest book Christopher Edge has written. The narrative is emotionally challenging and thought provoking. As you follow the two female characters, Maisie and her sister you will soon find yourself sucked into a vortex of everyday family life. It might even be a mirror image of your own reality, fallings out, fighting, family disputes, friends making fun at you etc - that's not too unusual, RIGHT? Well, that REALITY changes through a dramatic plot twist. A collision course of atoms explodes into life, a tiny flutter of fantasy particles dance on the heads of the reader. It really challenges the direction you thought the story was taking and makes you want to read more, and quickly. The plot turns the adventure into an ever-shifting reality that will engulf you into a world of blackness. You'll hurtle into a chilling and mind-bending fantasy universe which is devoid of colour and leads you into the bizarre. This part of the story is very surreal - it certainly captured my attention. I was led into a mystery that I was desperate to uncover. It's very cleverly written, although all of the books that Christopher has written have been brilliant. This is a truly thought-provoking and touching story that will gently pull on the heart-strings. It will gently take you on a journey which exercises your emotional self to the full. Like all books by Christopher, it is full of scientific facts and wonder. It bestows a mini educational adventure that surely any teacher would recommend. It is a brilliant and well thought out story that will ask many questions of the reader whilst exploring what it's like to be human. Could we actually be characters subconsciously playing out our lives in a book or computer game? Will we ever know? The world we live in is a miracle and, just like the power of reading, this is a book that you will love and want to read.